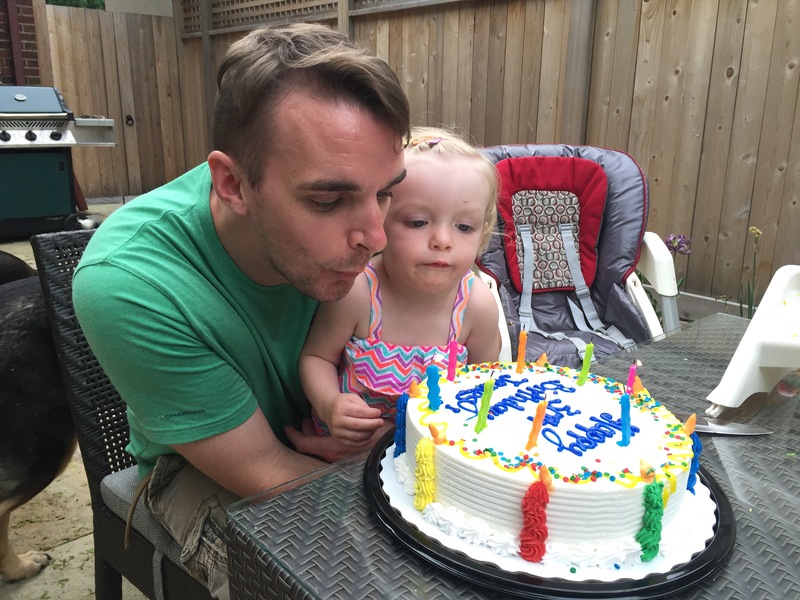 Day 465: Happy Birthday Daddy! 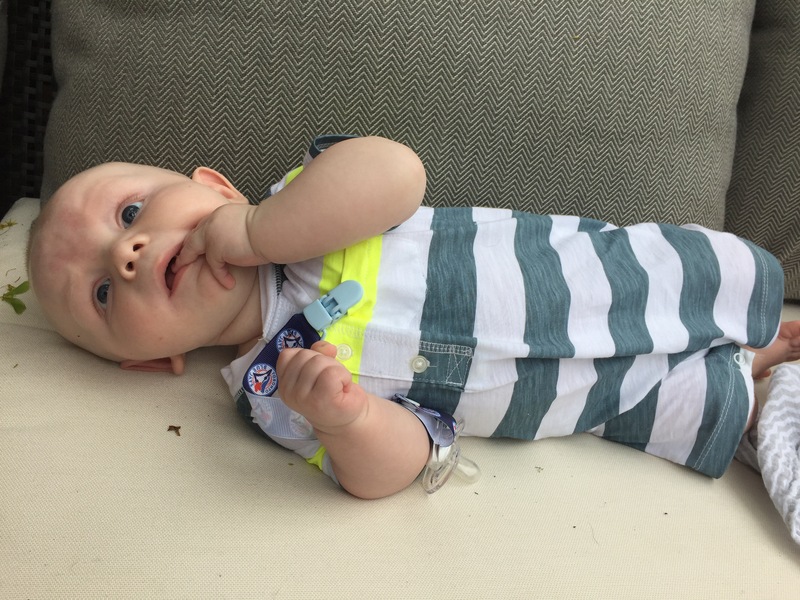 Madison and Jack hung out with Nana and Papa while Mommy picked up Daddy from downtown. 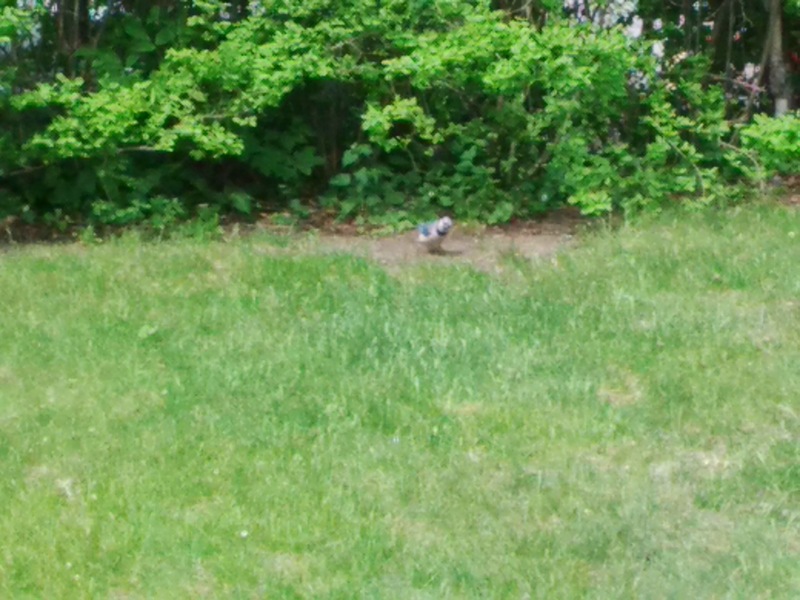 She was thrilled to see 2 bluejay birds in their backyard while playing on the deck with Papa. 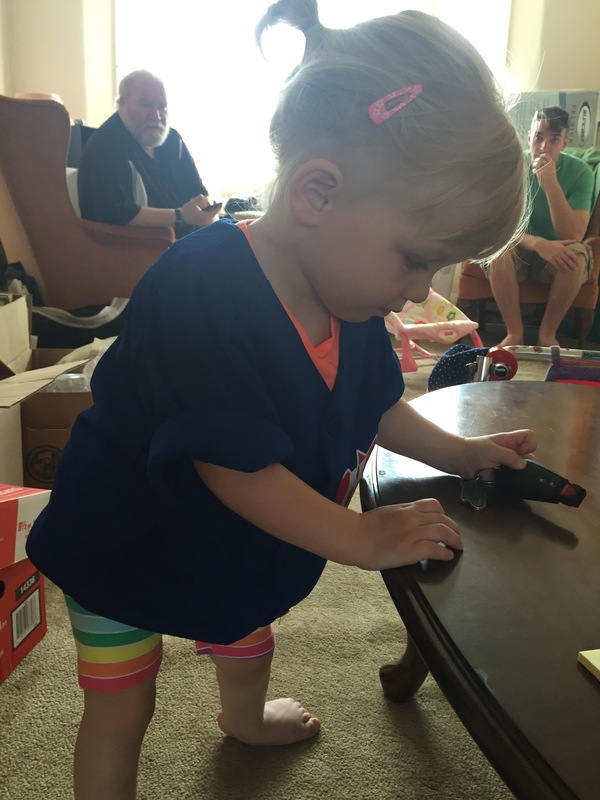 Madison also got her very own baseball jersey today from Papa. Madison will be checking out the challenger baseball starting next Saturday at Bond Park. Challenger baseball is for children with special needs to give them the opportunity to try and play some ball. 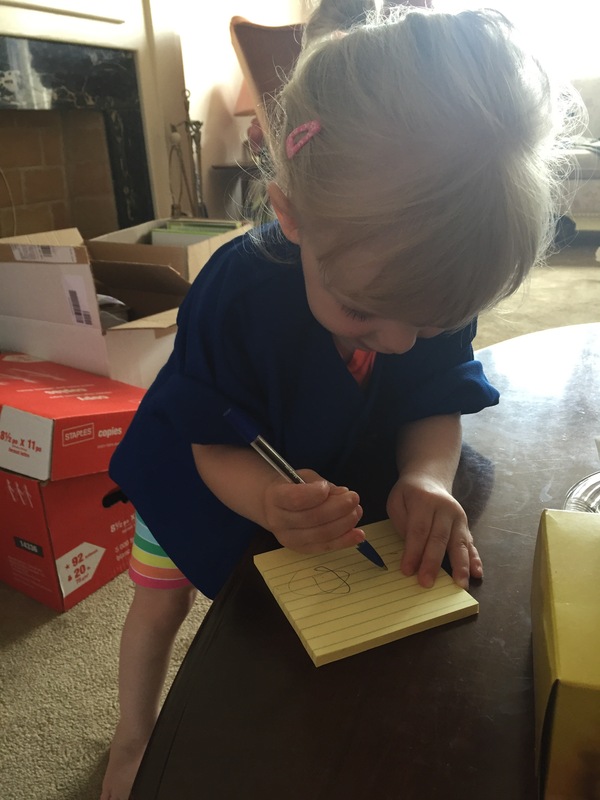 The majority of the kids are much older, so Madison will go and watch in her jersey. 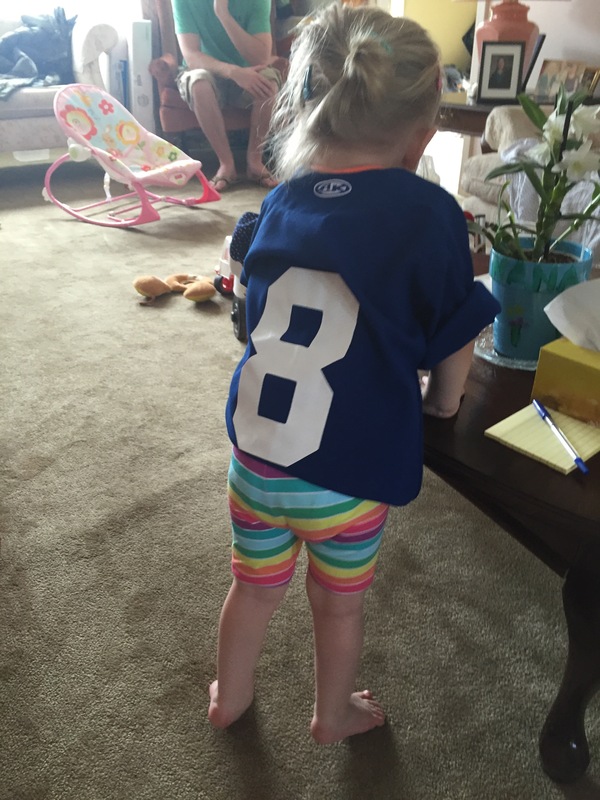 It has her favourite number on the back – the number 8! Daddy and Uncle Barker spent the night downtown for his big 30th Birthday celebration! Madison was so happy that Uncle Barker could make the trip to celebrate! Thank you as well to everyone who went to the Jays game to celebrate! 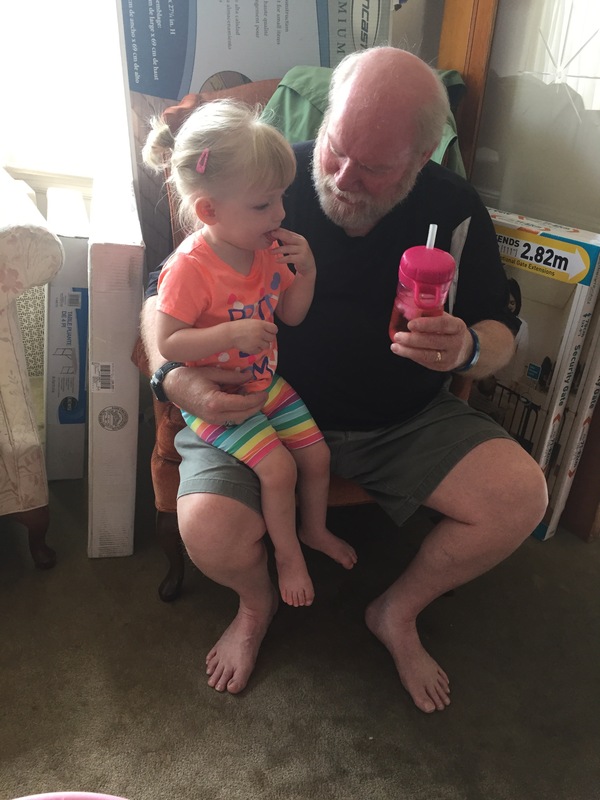 Later in the day Madison celebrated Daddy’s birthday at Grandma and Grandpas house. 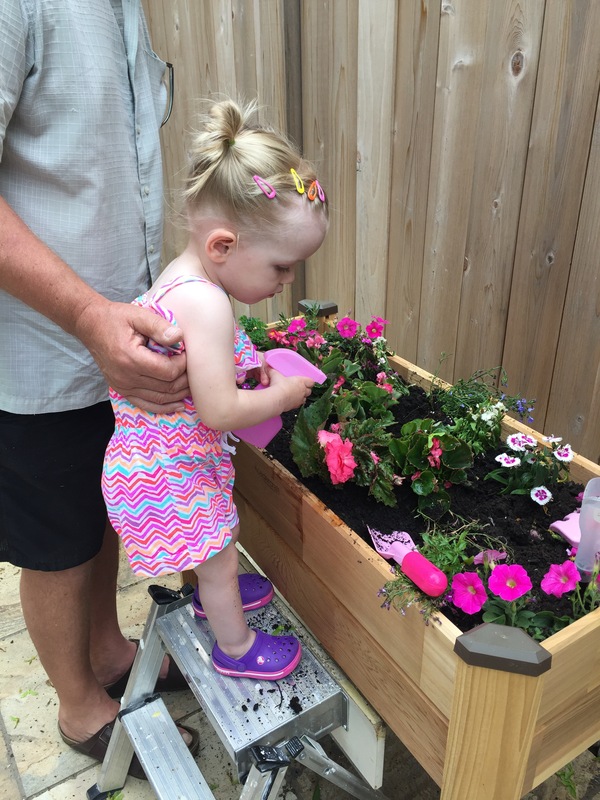 She planted some flowers, played with the dogs and helped Daddy open presents. 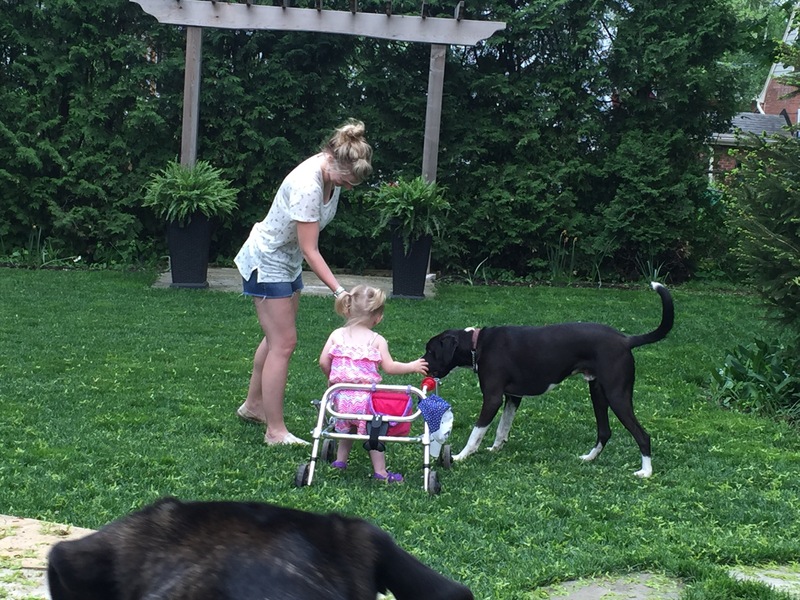 Madison’s favourite part of the evening was playing with the dogs and Auntie Emily on the grass in her walker. 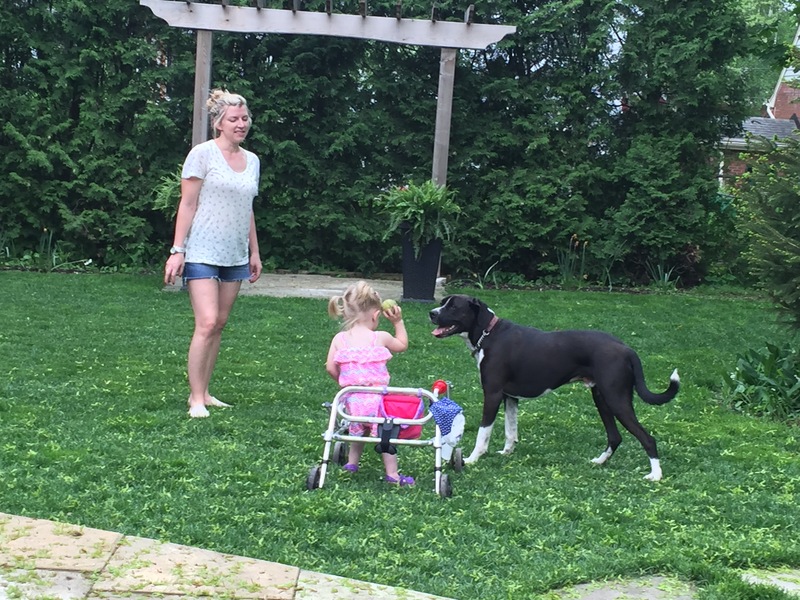 She did such a good job standing in her walker while throwing the balls to the dogs. Madison has started working on breath control and learning to inhale and blow out stronger. She tried to help Daddy blow out his birthday candles.